NAEM's 2015 EHS Management Forum Mike Miller, Vice President of EHS; Dean Foods Co.
Mike Miller, Vice President of EHS, Dean Foods Co.
Michael Miller is Vice President of EHS for Dean Foods. In this role Michael provides leadership to over 70 EHS professionals in both enterprise, operations and logistics environments. Michael is also on the Board of Regents for the National Association of EHS Management (NAEM). Michael has been in the EHS field for over 18 years in multi-industry and food & beverage. Current key initiatives include deployment of a camera telematics coaching solution and a body mechanics program. Michael has revamped the EHS function at Dean Foods overseeing several capital projects around waste water treatment, ammonia compliance, and leading a behavioral safety program that has resulted in over 50% reduction in injuries in 5 years, $100 million in P&C reserve releases, and significantly reduced claim costs for the field. 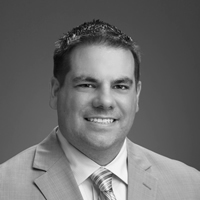 Prior to Dean Foods Mike was the Sr. Director of Risk Management, EHS, & Product Compliance for Apex Tool Group. While at ATG, Mike was responsible for setting up international insurance and EHS programs in over 40 countries. Prior to the ATG, Mike was the EHS Director for a segment of Danaher Corporation. Prior to Danaher, Mike spent several years in progressively increased responsible roles within EHS functions at Textron Corporate and then was the EHS business unit leader for Textron’s E-Z-GO golf car business. Mike started his EHS career at Texas Instruments (now Sensata Technologies). Mike has a degree in Environmental Science & Policy from Clark University, graduate work from Clark University and Bryant University. He studied earth systems science and conducted climate change research at Columbia University’s Biosphere 2 Center. Mike is a certified Six Sigma Greenbelt and has extensive training in lean manufacturing and behavior based safety.